Tried-and-true, this Used 2016 Jeep Cherokee Limited lets you cart everyone and everything you need in one vehicle. This Jeep Cherokee comes equipped with these options: TRANSMISSION: 9-SPEED 948TE AUTOMATIC 1 SPEED PTU (STD), TRAILER TOW GROUP -inc: 7 & 4 Pin Wiring Harness, Trailer Tow Wiring Harness, Class III Receiver Hitch, Full Size Spare Tire, TECHNOLOGY GROUP -inc: Lane Departure Warning Plus, Auto High Beam Headlamp Control, Parallel & Perp Park Assist w/Stop, Rain Sensitive Windshield Wipers, Adaptive Cruise Control w/Stop & Go, Advanced Brake Assist, Full Speed FWD Collision Warn Plus, SAFETYTEC -inc: Blind Spot & Cross Path Detection, ParkSense Rear Park Assist System, RADIO: UCONNECT 8.4 NAV -inc: SiriusXM Travel Link, 5-Year SiriusXM Travel Link Service, 5-Year SiriusXM Traffic Service, 1 Year Trial (Registration Required), HD Radio, GPS Navigation, SiriusXM Traffic, QUICK ORDER PACKAGE 26G -inc: Engine: 3.2L V6 24V VVT w/ESS, Transmission: 9-Speed 948TE Automatic 1 Speed PTU, POWER FRONT/FIXED REAR FULL SUNROOF, NORMAL DUTY SUSPENSION (STD), MANUFACTURER'S STATEMENT OF ORIGIN, and LUXURY GROUP -inc: Ventilated Front Seats, Bi-Xenon HID Headlamps, Exterior Mirrors w/Memory, Power Liftgate, Radio/Driver Seat/Exterior Mirrors Memory. Transport everyone in luxurious comfort in this safe and reliable Jeep Cherokee. A short visit to Siemans in Bridgman located at 8961 Red Arrow Highway, Bridgman, MI 49106 can get you a hassle free deal on this reliable Jeep Cherokee today! FRESHLY DETAILED.Oxford White 2012 Ford Focus SE 4D Sedan FWD 2.0L 4-Cylinder DGI Flex Fuel DOHC 6-Speed Automatic with PowershiftOdometer is 29595 miles below market average! 28/38 City/Highway MPGAwards:* Car and Driver 10 Best Cars * 2012 IIHS Top Safety Pick * 2012 KBB.com Top 10 Road Trip Cars * 2012 KBB.com Top 10 Coolest New Cars Under $18,000 * 2012 KBB.com Brand Image AwardsCar and Driver, January 2017. Drivers wanted for this stunning and agile 2014 Ford Mustang V6 Premium. Enjoy silky smooth shifting from the Automatic transmission paired with this high performance Regular Unleaded V-6 3.7 L/228 engine. With an incredible amount of torque, this vehicle is waiting for a commanding driver! It's outfitted with the following options: Wheels: 17 x 7 Machined Aluminum -inc: painted pockets, Vinyl Door Trim Insert, Variable Intermittent Wipers, Trunk Rear Cargo Access, Trip Computer, Transmission: 6-Speed Manual, Tires: P215/65R17 BSW AS, Systems Monitor, SYNC Communications & Entertainment System -inc: 911 Assist, VHR, SYNC Services, AppLink, Bluetooth, steering wheel controls, USB port and auxiliary input jack, and Strut Front Suspension w/Coil Springs. Cruise for miles in this spirited and fun-loving Ford Mustang. 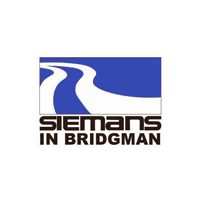 Visit Siemans in Bridgman located at 8961 Red Arrow Highway, Bridgman, MI 49106 for a hassle-free deal! Safe and reliable, this Used 2017 Ford Explorer XLT packs in your passengers and their bags with room to spare. This Ford Explorer features the following options: Wheels: 18 5-Spoke Painted Aluminum, Valet Function, Unique Cloth Bucket Seats -inc: 10-way power driver's seat w/power lumbar and recline, 6-way power passenger seat w/manual recline and 4-way adjustable driver and front-passenger head restraints (2-way up/down when dual-headrest DVD entertainment system (50S) is ordered), Trip Computer, Transmission: 6-Speed SelectShift Automatic, Towing Equipment -inc: Trailer Sway Control, Tires: P245/60R18 AS BSW, Tire Specific Low Tire Pressure Warning, Terrain Management System ABS And Driveline Traction Control, and Tailgate/Rear Door Lock Included w/Power Door Locks. Carry all your passengers in comfort and style in this tried-and-true Ford Explorer. Treat yourself - stop by Siemans in Bridgman located at 8961 Red Arrow Highway, Bridgman, MI 49106 to make this car yours today! No haggle, no hassle. From city streets to back roads, this Silver 2005 Ford F-150 plows through any turf. The rugged Gas V8 5.4L/330 engine brings stump pulling torque anytime, anywhere. Be the unstoppable force you imagine in this vehicle. It has the following options: Tow hooks, front (two), Tilt steering column, Tailgate, removable w/key lock & lift assist, Tachometer, Speed control, Solid rear axle w/leaf spring rear suspension, SecuriLock anti-theft ignition (PATS), Remote keyless entry w/(2) fobs, illuminated entry & panic button, Rear pwr point, and Rear dome lamp. You've earned this - stop by Siemans in Bridgman located at 8961 Red Arrow Highway, Bridgman, MI 49106 to make this truck yours today! No haggle, no hassle. Tried-and-true, this Used 2016 Chevrolet Malibu LT packs in your passengers and their bags with room to spare. This Chevrolet Malibu comes equipped with these options: WHEELS, 17 (43.2 CM) ALUMINUM (STD), TRANSMISSION, 6-SPEED AUTOMATIC (STD), TIRE, P225/55R17, SEATS, FRONT BUCKET (STD), PREFERRED EQUIPMENT GROUP includes Standard Equipment, NIGHTFALL GRAY METALLIC, JET BLACK, PREMIUM CLOTH SEAT TRIM, ENGINE, 1.5L TURBO DOHC 4-CYLINDER DI with Variable Valve Timing (VVT) (160 hp [119.3 kW] @ 5700 rpm, 184 lb-ft torque [248.4 N-m] @ 2500-3000 rpm) (STD), AUDIO SYSTEM, CHEVROLET MYLINK RADIO WITH 7 DIAGONAL COLOR TOUCH-SCREEN, AM/FM STEREO with seek-and-scan and digital clock, includes Bluetooth streaming audio for music and select phones; featuring Android Auto and Apple CarPlay capability for compatible phone (STD), and Windows, power with Express-Down on all. Carry all your passengers in luxurious comfort in this trustworthy and dependable Chevrolet Malibu. Come in for a quick visit at Siemans in Bridgman, 8961 Red Arrow Highway, Bridgman, MI 49106 to claim your Chevrolet Malibu!